Mt. Talamitam is one of the most beginner-friendly mountains in the Philippines. Its height is around 630 MASL (meters above sea level). 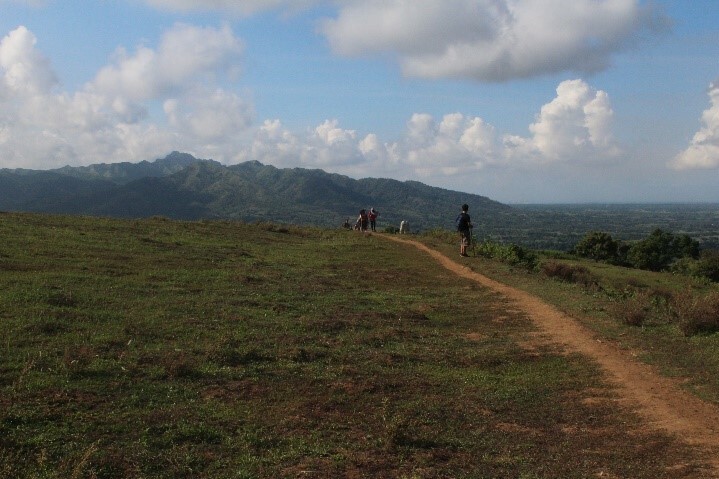 This particular mountain is located in Nasugbu, Batangas, just adjacent to Mt. Batulao. The travel time from Manila to Nasugbu is around two-three hours depending on the route and traffic. The jump-off point is at Brgy. Bayabasan, in a street corner just after the barangay’s elementary school. 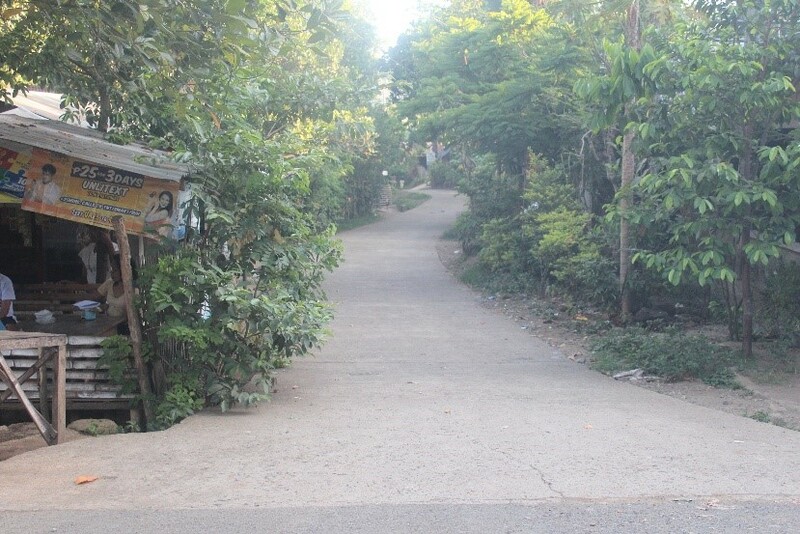 You can easily spot this area because it is just along Tagaytay-Nasugbu Highway, and you would probably see other hikers eating or resting in the bulalohan (eatery). You can take different trails to reach the summit. But there’s nothing to worry about because you can take any of the trails without getting lost. Unlike other mountains, Mt. Talamitam features a grass field so you can easily see where you are heading to. It is surrounded only by a few trees, and most of such trees are on the foot of Mt. Talamitam. Just be mindful that some trails are steeper than the others. Aside from its beautiful landscape, you will also encounter several animals along the way, particularly cows, goats, and even dogs. Some locals also try to grow crops and plants on the land. If you need refreshments, some locals sell buko juice and ice cream along the way. Some of the also sell refreshments at the summit. Although Mt. Talamitam is not as high as other mountains, it can also offer you awesome views. Actually, it has a fantastic 360-degree view from the summit. From the top, you can see other mountains nearby including Mt. Batulao, Mt. Palay-Palay (Pico de Loro), and Mt. Marami (Silyang Bato). You can also see Taal Lake, Fortune Island, and neighboring cities/towns. If you still have enough time, we highly suggest that you go to Layong Bato (or Bilog) River just a few meters away from the starting point. It’s better to go there after the hike because we’re sure that you would stay there for a couple of hours. You can swim, slide on the rocks and try river jumping. You will find a 20 feet high overhang rock there where you can jump off to the river. The depth of the river varies depending on the part. Some parts of the river are around 15 feet deep, while other parts are just 3 feet to 6 feet deep. Make sure to jump on the 20 feet part of the river to assure your safety. If you are not confident on your swimming skills, some locals could throw a floater on you upon jumping. The hike up to the summit could take more or less two hours depending on your pace. It means that you can finish back and forth Mt. Talamitam even half day. There is a registration in the jump off, and there’s also one in the middle of the trail. You can register before or after the decent. Estimated time of arrival to the summit; rest, take pictures, and enjoy the view; eat snacks. ETA on Layong Bato River; swim, jump, slide; eat lunch. Head back to the jump-off point. *You can also check another itinerary for Mt. Talamitam here. Just click the itinerary tab.